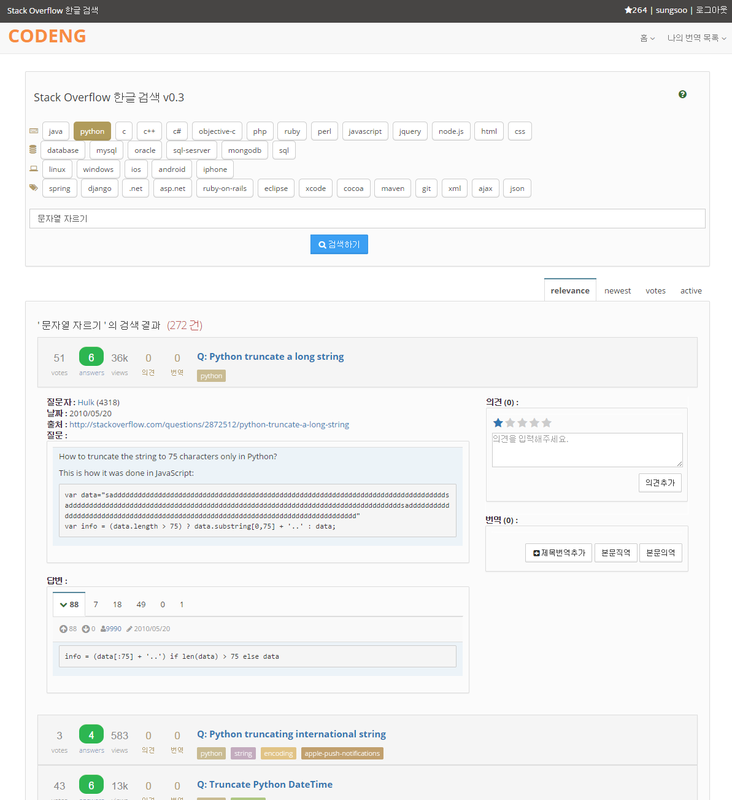 This website is made for Stack users who are unfamiliar to English (Korean developers). Anyone can translate Stack Overflow questions into Korean for others unfamiliar to English. Login using Stack Exchange authentication OAuth. Search Stack questions by keywords in English or Korean. literal translation - translate using automatic Markdown format same as English source format word by word. liberal(summary) translation - interprete English question into Korean summary text with translator's opinion. title only translation - Only Korean titles can help people also. 9/14/2014 - simplified home and search results and added title translation input ui in search results.